Mansion Curator Arlene Palmer Schwind gave a special tour to celebrity singer and actor Ron Raines when he visited Portland at the end of July. His career spans opera, operetta, musical theater, and television. From 1994 through 2009, he played the nefarious Alan Spaulding on the popular TV show Guiding Light, and earned three Emmy nominations. Raines was nominated for a Tony as Best Leading Actor in a Musical for his role in Follies. Other recent Broadway appearances include a run as Joseph Pulitzer in Newsies and Daddy Warbucks in Annie. This summer he performed with Opera Theatre of Saint Louis in Blitzstein’s Regina, an opera based on Lillian Hellmans’s play The Little Foxes. 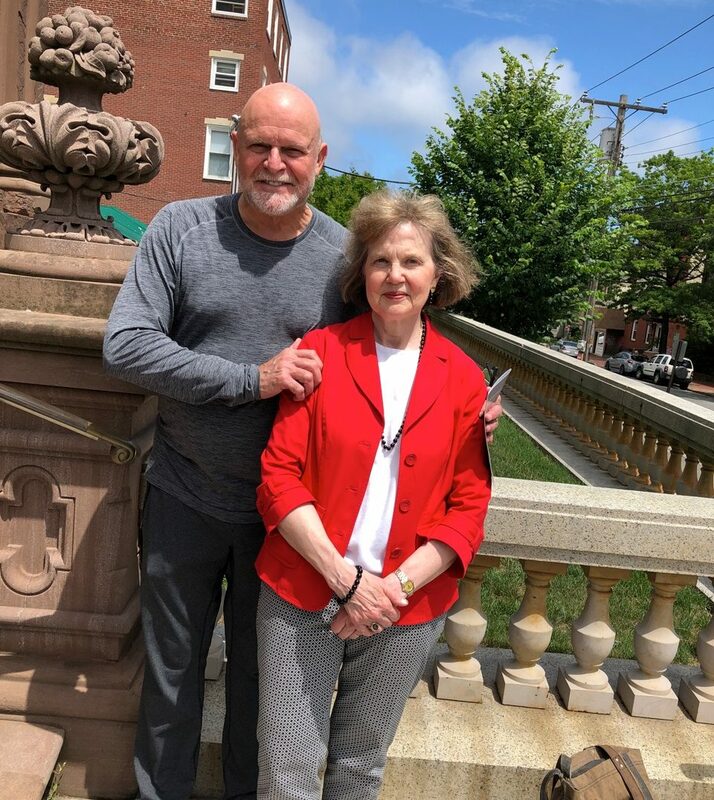 Raines was in town for Opera Maine‘s production of The Marriage of Figaro; Opera Maine’s Artistic Director is his wife, Dona D. Vaughn. Needless to say, Mr. Raines thought the Mansion was fantastic!